A night with the Columbus Jazz Orchestra offers spectacular entertainment in a beautiful setting for your corporate clients, employees, school, club or tour group, making for an unforgettable evening of live music with one of the world’s finest jazz orchestras. 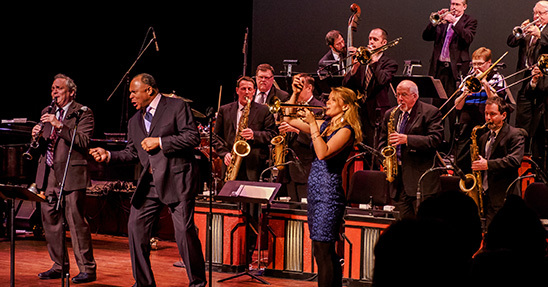 For Swingin’ with the CJO performances at the Southern Theatre: We are pleased to offer groups of 20 or more discounted seating of $30 per ticket. To reserve seats for your group, please contact the CAPA ticket office at 614-469-0939.